Herriman City leaders first envisioned a new town center and city hall in 2008. After years of preparation and financial planning, city officials broke ground in late 2015 on a major project they believed would serve as a gathering place for the community as well as stimulate economic growth through its all-inclusive design. 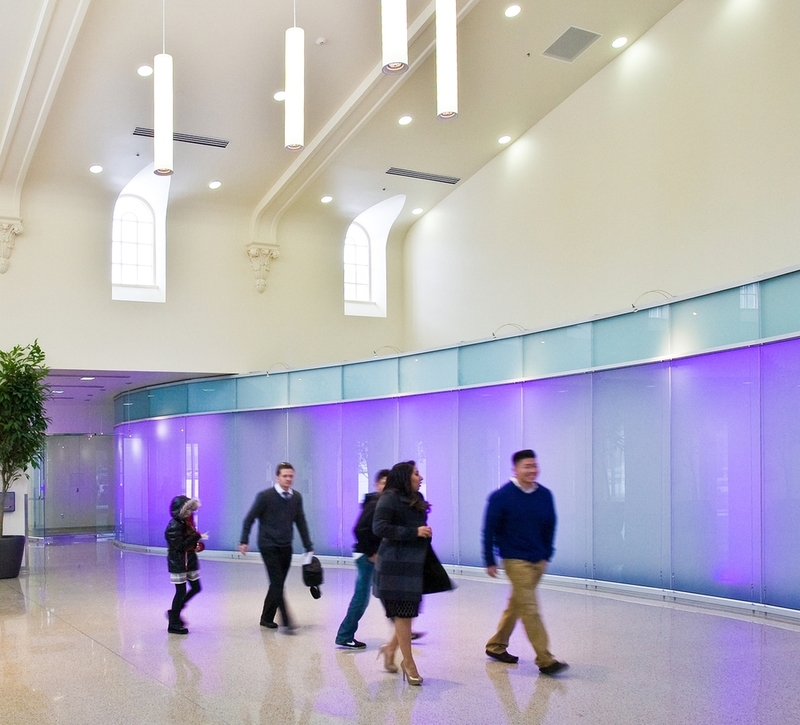 Scott Henriksen, AIA, GSBS Design Architects said “The architects spent several weeks working with the city council and city staff to verify the program and needs of each department while maintaining functionality and efficient use of space. After several ideas and concepts were considered, GSBS Architects submitted interior and exterior designs for the new structure and surrounding town center amenities. The GSBS Team included Scott Henriksen, Brian Jacobson, Erin Holcombe, Jeff Bolinger, Allison Mitchell, Jesse Allen, Bryce Ward, Eric Stanley, David Brems, and Christine Richman. On September 22, 2017, the dream was realized when the doors to the new Herriman City Hall were officially opened. City Hall is the centerpiece of The Towne Center, a 6-acre park with a splash pad, ice ribbon, a history walk, and an amphitheater and band-stand. The park will be outlined by retail buildings with restaurants and boutique style shopping. 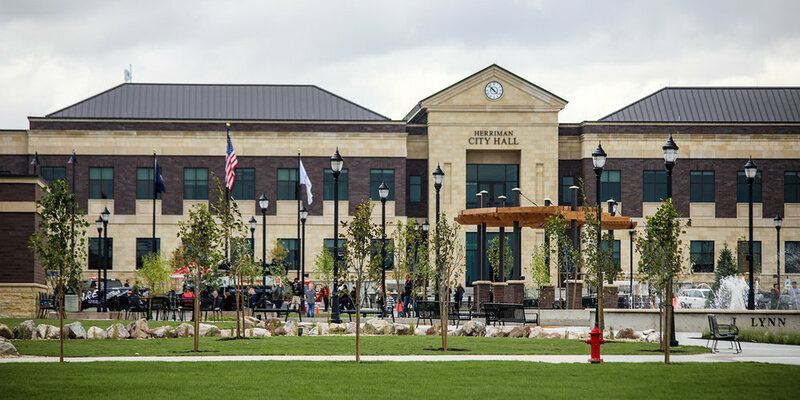 Herriman’s New City Hall consolidates city activities under one roof, allowing residents access to all government services. In addition to providing city services as well as Justice Court, the new building will also house the Unified Police Department’s Herriman Precinct. The design team working on the Main Street Plaza property returned to the Park City Council at a work session meeting Nov. 19 to update the council on where everything stands. The city-owned property is located at the intersection of Main Street and Swede Alley and colloquially known as the "Brew Pub" property for its proximity to the Wasatch Brew Pub. Clio Rayner of GSBS Architects said council has made it clear -- this is a valuable piece of real estate and it is important they get the best possible use from it.